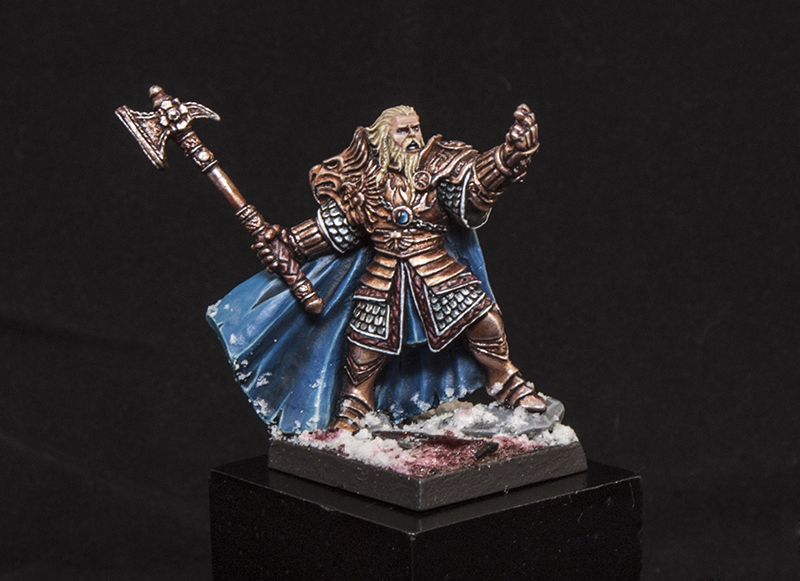 Games Workshop recently came out with three new paints to coincide with the release of Age of Sigmar. One of them, Flayed One Flesh, is just a re-release of a Edge Paint as a standard Layer Paint. The other two are brand new additions to their gold range. So how do they compare? New paints are always exciting to me since I am primarily a painter. GW's last additions to their paint range, the Technical Paints, were a resounding success, and now they bring us Retributor Gold and Liberator Gold. Retributor is a Base paint while Liberator is a Layer paint. 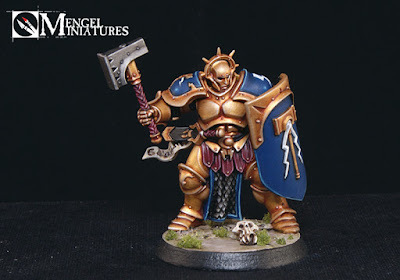 These are meant to coincide with the new Stormcast Eternals models, and having painted one, they work perfectly for them. Retibutor has only one other competitor for a Base gold paint, and that's Balthasar Gold. I have to say, as a gold paint, it far outshines its predecessor. That's not to say Balthasar is bad, in fact I love that paint. 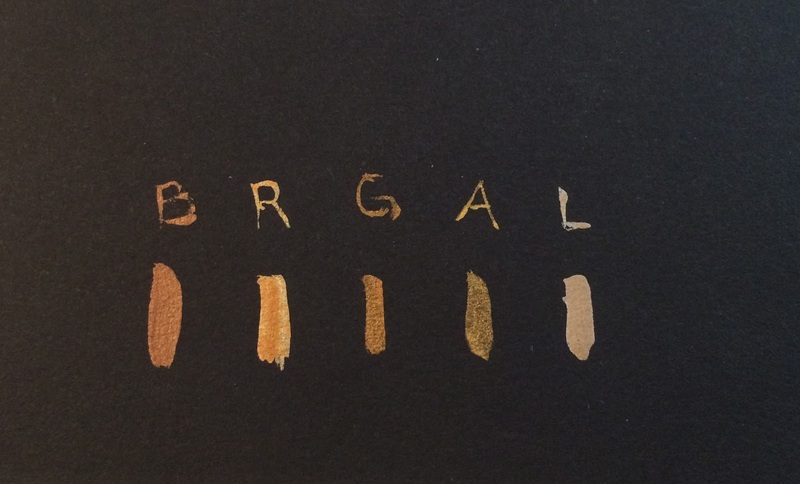 If you are being fair though Balthasar Gold isn't really a gold paint, it's more accurately a brass or copper. Retributor Gold though is exactly what it says it is. It's a rich, deep, and fairly bright gold color. I am beyond excited that I finally have a real gold Base paint. Liberator Gold is a new Layer paint, but more accurately, it is meant to be a highlight color. 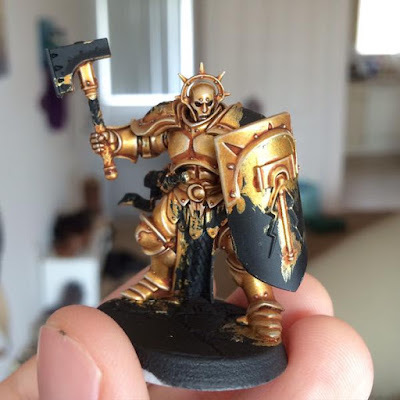 I would say it's pretty close to being a gold paint mixed with Runefang Steel. Although this would be pretty easy to make when you need it, having it pre-mixed for you if you're highlighting a lot of gold is definitely convenient. It's a great color too, and works great on its own. Here is a picture of all of the gold paints I own compared to each other. I only did one layer overtop a piece of black paper. In order they are Balthasar Gold, Retributor Gold, Gehenna's Gold, Auric Armor Gold, and Liberator Gold. You can really see here how much Balthasar and Retributor differ. 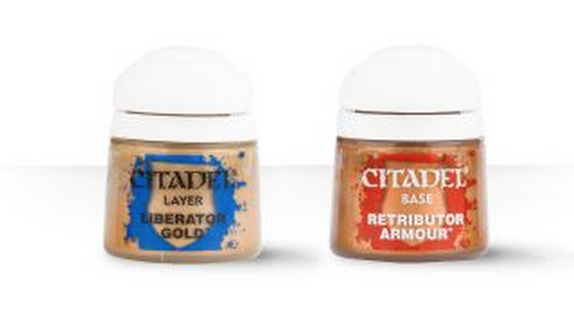 The Liberator Gold also covers much better then the other two layer paints. Supposedly these two new colors have a lot more pigment in them which accounts for their great coverage. The one downside to this is that they are more expensive. They are both $5.75, but definitely worth it. This Valten model was painted with Balthasar and Gehenna's Gold predominantly with Runefang Steel mixed in for highlights. This Stormcast Eternal is painted using both of the new colors and Auric Armor Gold. Both models look good, but I just wanted to show you how the different colors look on a model. If you are looking for a solid Gold Base color as well as a quick and easy highlight color then I highly recommend picking these up. I plan on grabbing the Spray Paint too to speed up the base coating of my army, so I will do a quick review of that once I have had a chance to test it out.